Education is everyone’s right and it is one of the most crucial areas of empowerment for women. Educated woman contribute greatly to society’s development and they can share the responsibility of men in every walks of life. Education not only awakens people’s mind, but it also makes them self-dependent & confident. Girls’ Education is important from every perspective of life and society. An educated woman leads a healthier life as compared to the uneducated woman. They participate in the family matters & in the outside world too, earn well, marry at a considerable age and plan a family in a better manner. Not only do Women take the right decisions for themselves, but they also provide better education and health care options to their children as well as to the family. All these factors together can help to eradicate poverty, crimes and disease rates. It is an important element for the foundation of a strong Nation. According to the statistics released by the latest census of 2011, India’s female literacy rate is 65.46%, lower than the world average of 79.7%. In India, Kerala has the highest female literacy rate with 91.98% rate, but states such as Bihar has 51.50% the lowest female literacy rate. Girl education in India is still a less preferred option in rural areas. Their girls are not given proper education as compared to boys. It has always been a matter of discussion. Since ages, girls have been considered weaker and are suggested to stay at home and take care of household chores. 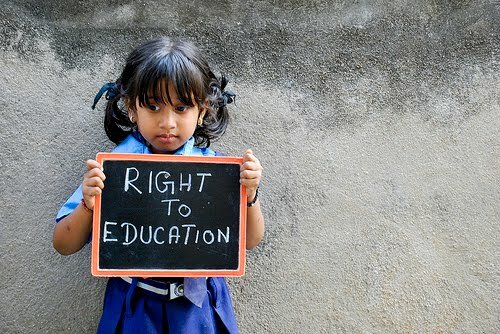 In comparison with other countries, people in India are facing a problem of illiteracy, especially in backward regions. Not even in rural but also in urban cities, people were not willing to send their daughters to the school. Empowerment means moving from a weak position to execute power. In simple words, Women empowerment can be understood as giving power to women to decide for their own lives or inculcating such abilities in them so that they could be able to find their rightful place in the society. Education of women is the most powerful tool to change their position in society. Empowerment can be viewed as a means of creating a social environment in which one can make decisions and make choices individually. It is the process by which one can gain control over one’s destiny and the circumstances of one’s lives. There are always a number of elements in the society which deprived women of their basic rights. Poverty or low family income, lack of education, inaccessibility to health facilities and lack of knowledge are important factors for depriving girls from education. Violence and various other crimes against women deprive them of gaining sound education. Increased responsibilities on female children such as domestic duties which consume most of the time available for school. Education cost also leads to decline in no. of female children going to schools as some parent cannot afford education of all their children so they choose boys over the girls . Schools are sometimes far from home and there is a lack of transportation and lack of accessibility of traveling especially in slum areas in big cities, villages and remote areas. Time is changing now, girls today are crossing the borders of their houses and doing wonders. Girls who were presumed to be physically weak are now joining the army, navy, air force, wrestling, shooting and every other field that was once considered to be the male-dominated regions. Time has changed now and the girls who are trusted by their parents and the society are doing wonders in every field. Indira Gandhi, Kiran Bedi, Kalpana Chawla, Lata Mangeshkar, Mother Teresa, Pratibha Devi Singh Patil, etc are some of the great examples. Now, Women are doing wonders in their respective fields and excelling at every front. Thus, it is important that girl education is promoted in rural areas and villages too so that every girl becomes independent and assertive. An educated girl is an asset to the society in the form of a daughter, wife, and mother and most importantly she is an example for herself. Women are gaining great recognition on national as well as international platform. Educated girls are working in every sphere of society such as banks, hospitals, private firms, and government offices. They are also earning name and fame in sports, such as wrestling, cricket, shooting, etc and most of them have brought glory to the country on an international level too. Girl education has also led to their economic independence and gender equality. They are capable of taking their own decisions and fighting against crimes such as dowry, child marriage, trafficking, etc. To spread awareness among the people about the need and significance of Girl education more efforts have to be taken by the government and the Society. Education, in general, is important for everyone and an educated girl is no less than any boy. Time has come when parents must start showing equal faith in the girl child too, only then the society and the nation would be called a “Developed Nation”. Previous Previous post: Are Boarding Schools better than Day Schools?